This machine has also been called a Calf Raise, Standing Squat, and a Standing Calf Raise. Smooth Fluid Resistance of AeroStrength Hydraulic Exercise Machine for fitness, rehab, weight loss, sports and athletic performance. 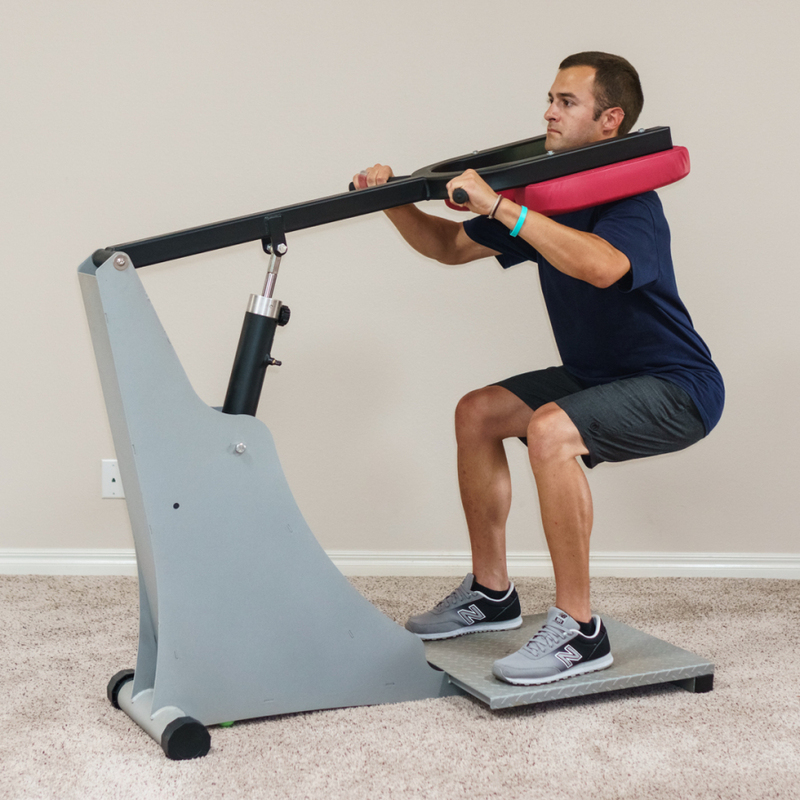 AeroStrength Hydraulic Exercise Equipment saves time because each machine exercises the cardiovascular system and strengthens opposing muscle groups all at the same time! AeroStrength automatically adjusts to the user’s strength and speed making it safe for most anyone regardless of age or fitness condition. AeroStrength’s fluid resistance provides smooth movements and is gentle on joints. There are no complicated electronics and yet its easy to track results. Results come within weeks, not months, making it the most effective exercise you will ever experience. Athletes can get faster results and increase aerobic power in half the time of conventional training methods. Seniors can experience no muscle or joint soreness while SAFELY increasing strength. Physical Therapists can work with multiple clients at the same time without the risk of injury. Weight loss clients can get faster results thereby increasing enthusiasm to stick to their program. Busy Professionals can get a full-body workout in less than 30-minutes! The circuit is cardio, strength, and even flexibility!